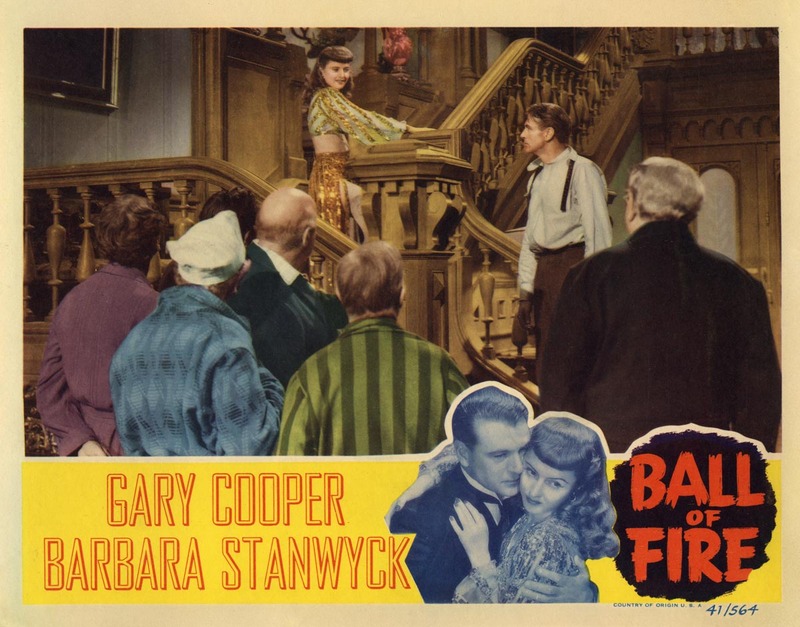 This essay is Twenty Four Frames contribution to the William Wyler Blogathon hosted by R.D. Finch’s The Movie Projector. Click here to visit other great contributors to this event. 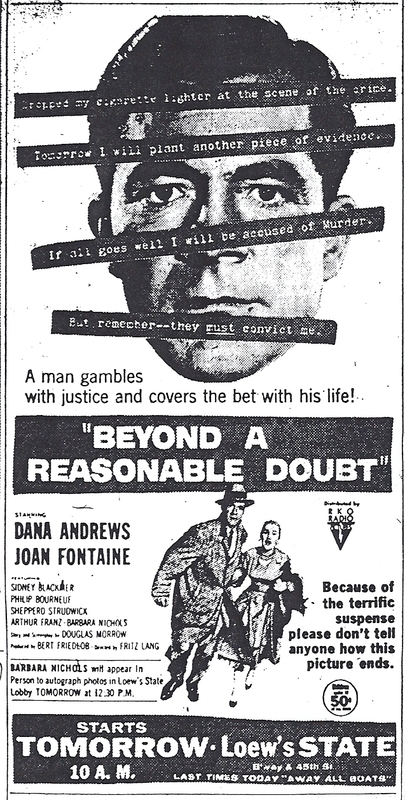 Detective Mark Dixon (Dana Andrews) is a cop whose head is filled with demons. He loathes criminals having had a father who was in the life. A bitter, brutal cop who does not like to follow the rules, he had no problem smacking around a potential suspect to get him to talk. A predecessor to Dirty Harry, Dixon’s views the law as way too soft on criminals. Set in a New York filled with underworld thugs, the film is a dark look at Dixon’s obsessive pursuit of gangster Tommy Scalise, a former associate of his father. Preminger portrays Dixon as a loner, haunted by the past without any moral compass. Kenneth Paine (Craig Stevens), a gambler and a decorated war hero gets into a fight with another gambler while gambling at one of Scalise joints. While investigating the murder Dixon accidently kills Paine. 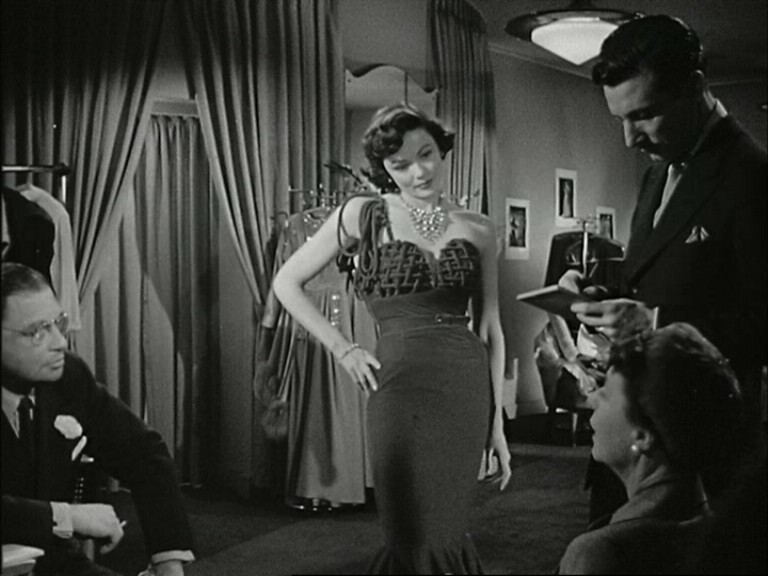 Dixon makes the crucial mistake of covering up the murder, even allowing Paine’s former father in law (Tom Tully) to be arrested for the crime, this after he begins a relationship with Morgan (Gene Tierney), a fashion model and Paine’s widow. As his life spirals out of control, Dixon attempts to frame Scalise for the two murders however, Dixon’s superiors see Morgan’s Dad as the prime suspect and it looks like he is going to take the fall. When convinced that Morgan will wait for him, love forces Dixon to face his demons and confess. 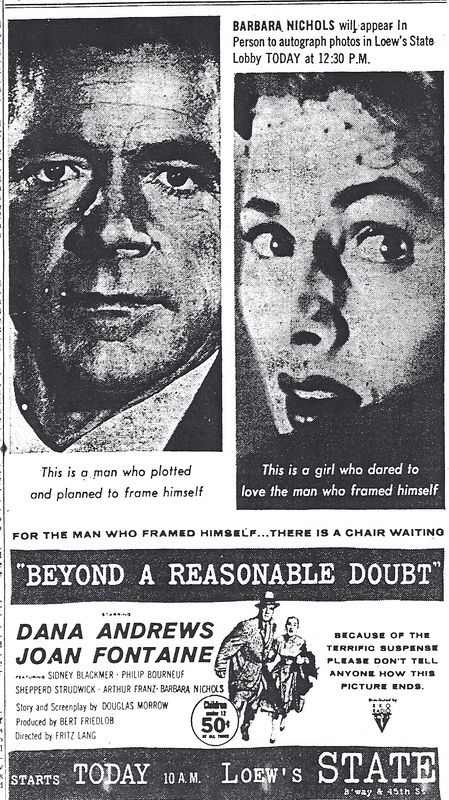 From the mid 1940’s to the early 1950’s Preminger directed a series of noir films that cement his reputation, starting with “Laura”, his most successful work. “Fallen Angel”, “Whirlpool”, “Angel Face” and “Where the Sidewalk Ends” followed. 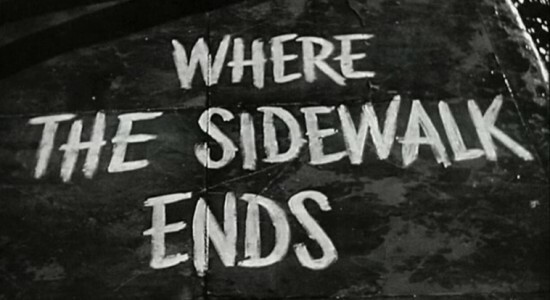 Working with cinematographer Joseph LaShelle in “Where the Sidewalks End”, they created a claustrophobic bleak seedy post world war two vision of 1950’s America. The film is based on a novel called “Night Cry” by William L. Stuart. It was originally purchased by an independent producer named Frank P. Rosenberg Jr. who would eventually sell the rights to 20h Century Fox. Ben Hecht, who worked with Preminger previously, was assigned to write the screenplay. Apparently, earlier versions of the script had gangster Scalise as a drug addict but that was dropped from the script on orders from the censors. Still, Scalise throughout the film is seen using a nose inhaler that could suggest many things. 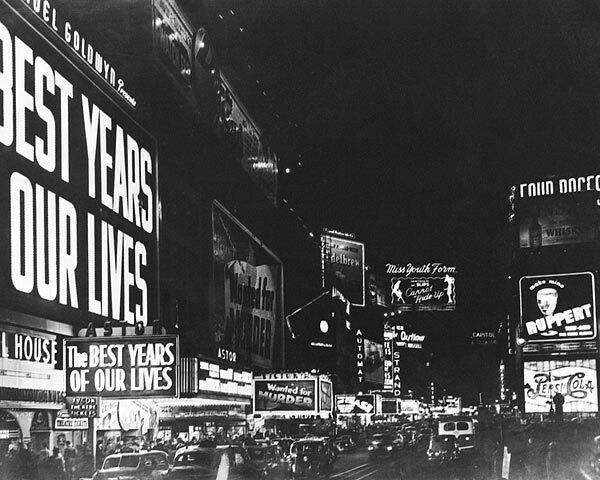 Preminger shot for three weeks on location in New York before moving to Hollywood for the remainder of the shoot. After leaving MGM where she reigned as the biggest star on the lot Joan Crawford signed a contract with Warner Brothers and had series of hits that rank up there with her best from MGM, “Humoresque”, “Possessed” (1947), her Academy Award winning role in “Mildred Pierce.” While under contract to Warner’s she was loaned out to 20th Century Fox for “Daisy Kenyon”. Kenyon has been called a woman’s picture, a melodrama and a film noir. Though released on DVD by 20th Century Fox as part of its film noir series this is misleading. 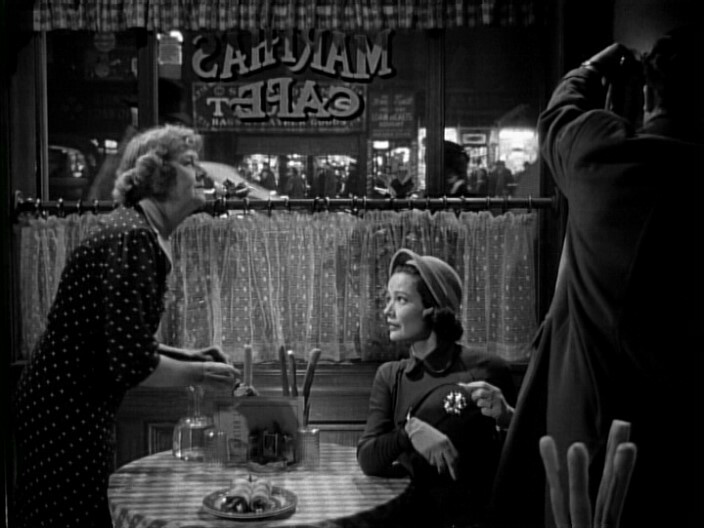 The movie, while it may contain some noirsh style lighting, that may have more to do with Ms. Crawford being too old for the part with the dark shadowy lighting used to cover up the effects of her fortyish age. Either way, Joan was still at the top and could command leading men of status like Dana Andrews and Henry Fonda to be her co-stars. Here Crawford was given two of the top male stars of the time to co-star with, Preminger favorite Dana Andrews who had appeared in at least five Preminger films and Henry Fonda. Billed third behind Andrews, which may be surprising to some, Fonda, just back from the Army was at the tail end of his studio contract and was ready to go out on his own. 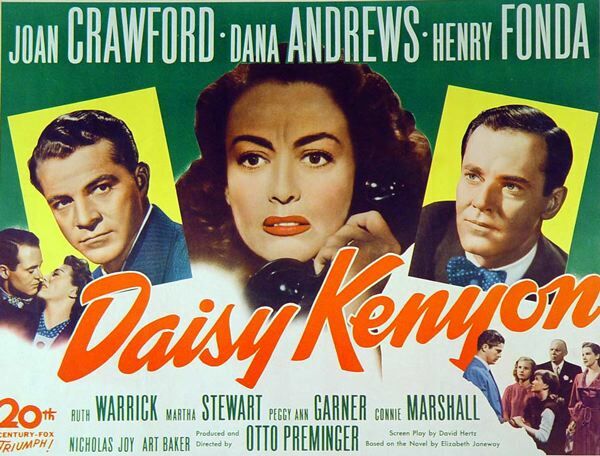 Andrews was a big star and on a roll during this period having just appeared in “Boomerang”, “The Best Years of Our Lives” and “A Walk in the Sun.” “Daisy Kenyon” is the story of a young commercial artist who is having an adulterous affair with big time lawyer Dan O’Mara (Andrews). O’Mara always got everything he wanted. He never lost a case; he had a family with two young daughters who love him and a beautiful mistress. Daisy wants to get married however, the smooth talking O’Mara strings her along never committing. Daisy meets psychologically disturbed war veteran Peter Lapham (Fonda). After a single date he professes his love for Daisy. When Daisy rejects his proposal, he just disappears. Later on, realizing Dan is not going to divorce his wife (Ruth Warwick) marries Peter though she still in love with Dan. O’Mara however, cannot get over Daisy and after losing a case for the first time, where he was defending a Japanese-American war veteran who came home to find his property taken away from him, he makes the decision to divorce his wife and come after the now married Daisy. 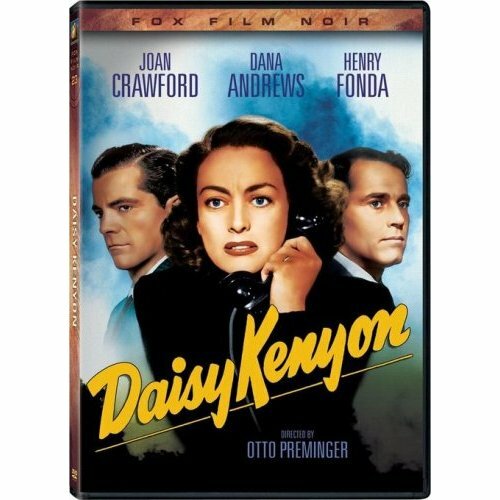 Preminger who was at the height of his career in the 1940’s through the 1950’s does a nice job of keeping the suspense up on whom Daisy will decide on until the very end. 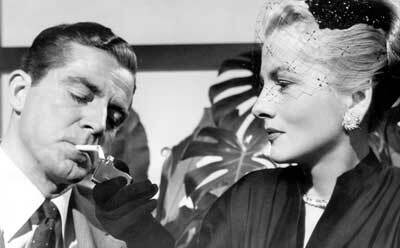 From what I have read, Preminger did not think much of the final results of the film. Of the three leading characters, Crawford’s Daisy is probably the least interesting though as usual, she plays a strong female character and her presence alone is powerful. Fonda’s character is a bit of an oddity, as is the pairing of Crawford and Fonda in general. There does not seem to be any chemistry between them making their scenes together disappointing. 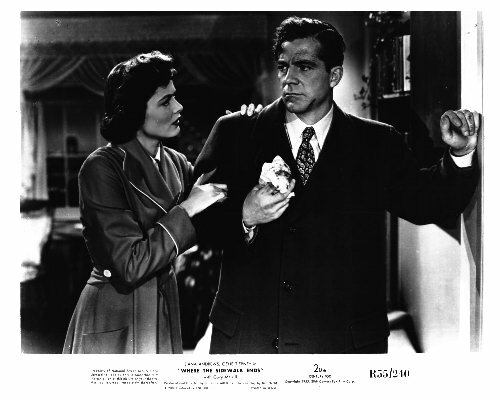 Dana Andrews gives a fine performance as Dan, going from a smart over confident self centered charmer to a man who suddenly realizes he is losing everything. You can see the confidence drain from Andrews face as his fortunes decline. A really nice performance, the most successful in the film though his character is not very likeable. There are also problems with the script. Dan’s relationship with his children seems like it needed to be explored more. Similar is the relationship between Daisy and her friend Martha (Mary Angelus) who always seems to be hanging around Daisy’s apartment making you wonder if there is more to their relationship than is being said. Look for cameo appearances by John Garfield, writer Damon Runyon and newspapermen Leonard Lyons and Walter Winchell in the Stork Club scene. 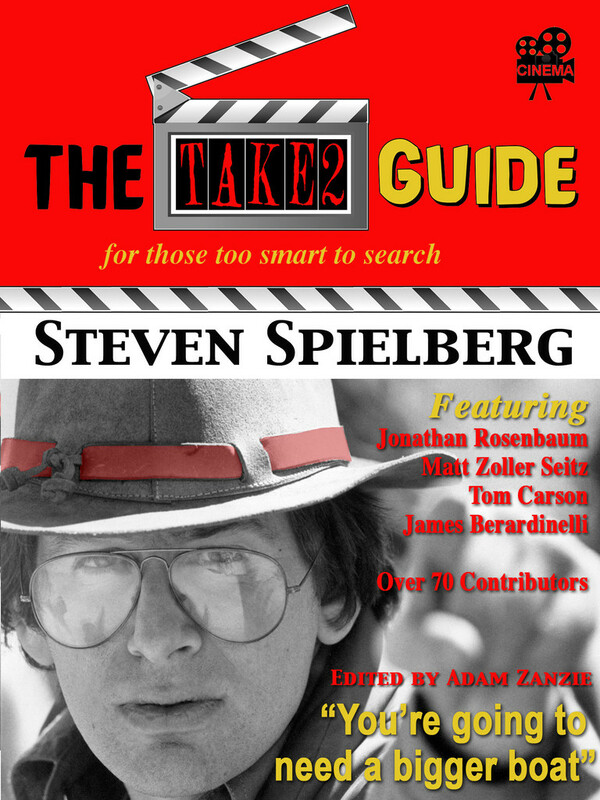 The film was written by David Hertz was based on a novel by Elizabeth Janeway. 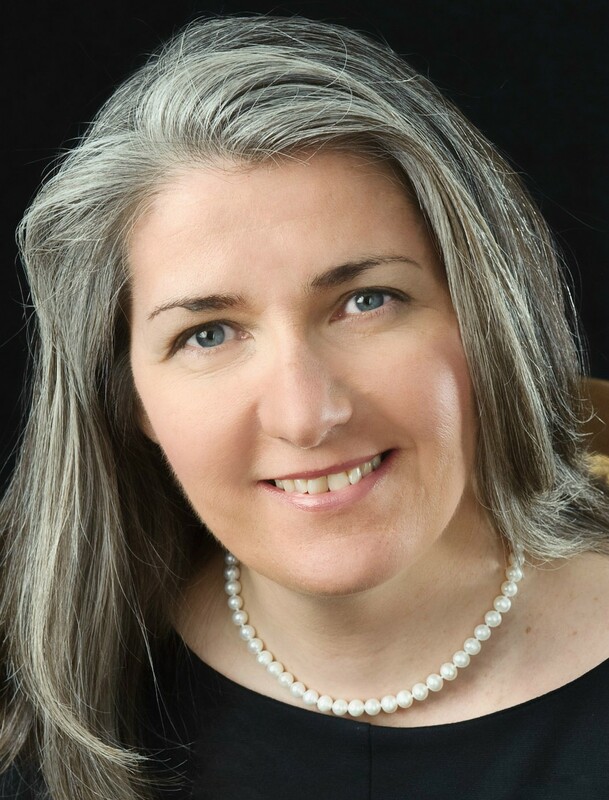 As an aside, Elizabeth Janeway was married to Elliot Janeway who was economic advisor to Presidents Franklin D. Roosevelt and later to Lyndon B. Johnson.